CAPITAL : Antananarivo (in the past Tananarive). 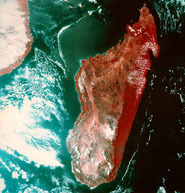 MAIN CITIES : Antsiranana (or Diégo-Suarez in the extreme north), Taolagnaro (or Fort-Dauphin in the extreme south-east), Toamasina (or Tamatave in the east), Mahajanga (or Majunga in the north-west), Toliara (or Tuléar in south-west), Antsirabe(in the center), Fianarantsoa (in center southern), Morondava (in the west). POPULATION : 24.000.000 inhabitants (2015). AREA : 587,041 sq km (226,658 sq miles). LANGUAGE : The official languages are Malagasy (which is related to Indonesian) and French. 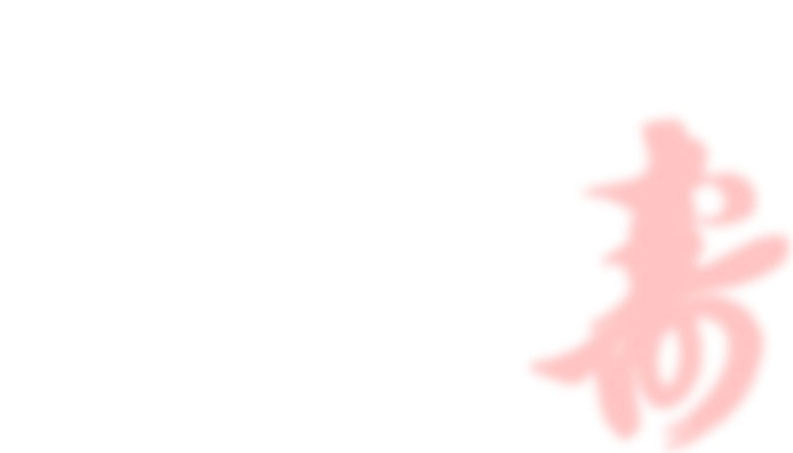 Local dialects are also spoken. Very little English is spoken. MONEY : Ariary (1 EUR = 3690 AR or 1 USD = 3270 AR in June 2016). RELIGION : 55% follow Animist beliefs, about 40% Christian; remainder Muslim (5 %). GOVERNMENT : Republic since 1992. Independence (from France) in 1960. Head of State : President, Hery Rajaonarimampianina since 2014. 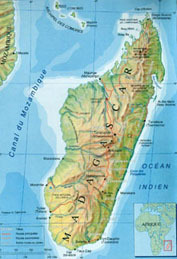 GEOGRAPHY : Madagascar, the fourth-largest island in the world, lies in the Indian Ocean off the coast of Mozambique. It includes several much smaller islands. A central chain of high mountains, the Hauts Plateaux, occupies more than half of the main island and is responsible for the marked differences - ethnically, climatically and scenically - between the east and west coasts. The narrow strip of lowlands on the east coast, settled from the 6th century by Polynesian seafarers, is largely covered by dense rainforests, whereas the broader west-coast landscape, once covered by dry deciduous forests, is now mostly savannah. The east coast receives the monsoon and, on both coasts, the climate is wetter towards the north. The southern tip of the island is semi-desert, with great forests of cactus-like plants. The capital, Antananarivo, is high up in the Hauts Plateaux near the island's centre. Much of Madagascar's flora and fauna is unique to the island. There are 3000 endemic species of butterfly; the many endemic species of lemurs fill the niches occupied elsewhere by animals as varied as racoons, monkeys, marmots, bush babies, sloths and even (though this variant is now extinct) bears; there is a similar diversity of reptiles, amphibians and birds (especially ducks), and also at all levels of plant life. CLIMATE : Hot and subtropical climate, colder in the mountains. Rainy season : November to March. Dry season : April to October. The south and west regions are hot and dry. Monsoons bring storms and cyclones to the east and north from December to March. The mountains, including Antananarivo, are warm and thundery from November to April and dry, cool and windy the rest of the year. TIME DIFFERENCE : (GMT +03:00) Antananarivo. From October at May : the sun rises towards 5am and lie down around 7 pm. From June to September : the sun rises towards 6.30 am and lie down towards 5pm.